Chinese handset maker Xiaomi today announced the launch of its Mi Crowdfunding through which it will sell a select range of “innovation-driven products”. The Mi Crowdfunding platform will allow users to support, buy a product, and help Xiaomi decide which products should they launch in India. 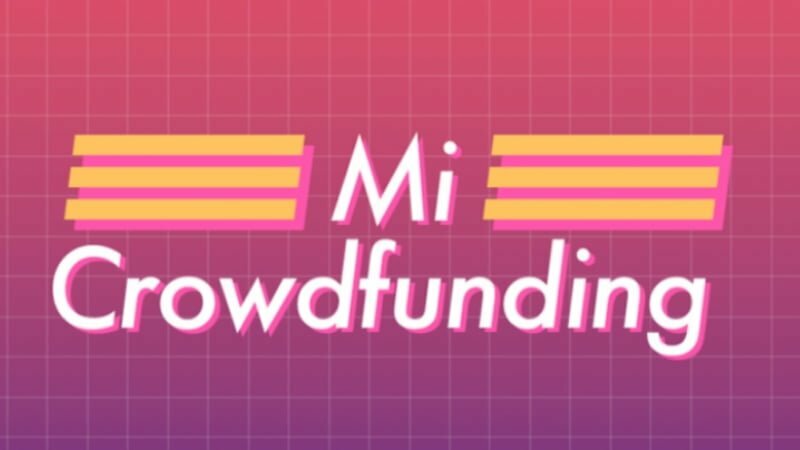 Xiaomi introduced the Mi Crowdfunding program in India as part of the company’s Mi Fan Festival that will run from April 5-6. “India is the first country outside of China where we are launching the ‘crowdfunding’ platform. It will enable us to gauge response for new product categories among consumers and determine a roadmap for such products,” Xiaomi India Head Online Sales Raghu Reddy said. As of now, Xiaomi has announced two new accessories on the platform. Starting today, the Mi Bluetooth Audio Receiver and the Mi Selfie Stick Tripod will be available for funding at Rs 1099 and Rs 999 respectively. However, only after reaching a certain required number of sale, will the product be shipped to the customer. In case the product fails to meet the targeted sales in the set timeline, customers get their money back. These devices are available in 1000 numbers, and one has to pay the amount upfront to back the product. The prices of these devices will be less than the usual price tag. The Xiaomi Mi Bluetooth Audio Receiver is based on Bluetooth 4.2 technology, and it converts wired earphones and headphones into wireless headphones. It can also be used convert your analogue Car music system into a wireless music system. The device comes with built-in professional AMP chip, and has a single button for on/off and connecting to other devices. It comes with a 97mAh battery which Xiaomi claims that can play music up to 4-5 hours on a single charge. The second product is Xiaomi’s Tripod Selfie which is selfie stick and tripod stand combined into one unit, complete with a Bluetooth shutter remote. The rod is made of aluminium alloy that is strong, and the length can be expanded as per requirement. It supports a variety of Android and iOS devices and a great accessory for vloggers and selfie enthusiasts. The device can fit in the Xiaomi Mi 5 or the bigger Xiaomi Mi Max 2 without breaking a sweat. In other news, Xiaomi also announced that it would be organising a Supplier Investment Summit in India from April 9, 2018, to April 11, 2018. The summit will host 50+ Xiaomi component suppliers from around the world who will visit different states learning about opportunities in India. “India is the most important market for Xiaomi outside Mainland China and a major manufacturing hub today, hence, the suppliers will be visiting different states to evaluate opportunities for setting up local base in the country. This will not only bring in additional foreign investment in India, but will also create a pool of job opportunities,” said the company. The whole agenda of this summit is to help them understand about opportunities in the Indian market, incentives offered by Center and State government, FDI policy, industrial policy and various state sector-specific policies. Currently, Xiaomi has three manufacturing facilities in India. The two facilities in partnership with Foxconn are in Sri City, Andhra Pradesh and are dedicated to manufacturing smartphones. Today, more than 95% of Xiaomi’s smartphones sold in India are manufactured locally, and the production capacity is one smartphone/second during operational hours. Additionally, Xiaomi India recently opened a new manufacturing unit in Noida, Uttar Pradesh in partnership with Hipad Technologies to manufacture power banks.